Editor's Note: This is the first part of my adventures of converting to a new phone. 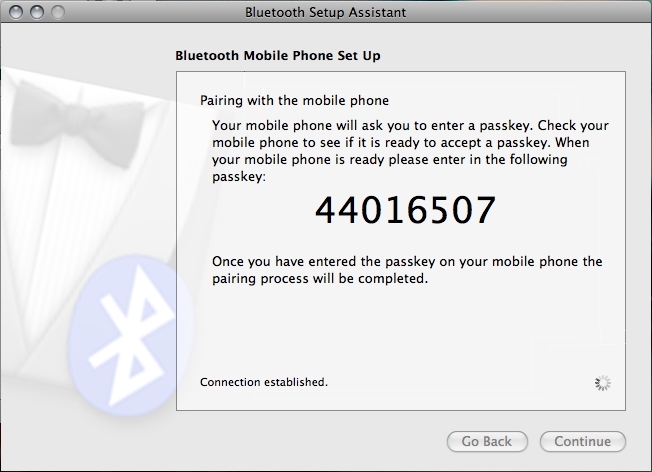 The first two parts will cover synchronizing your contacts between my old phone and my new phone. 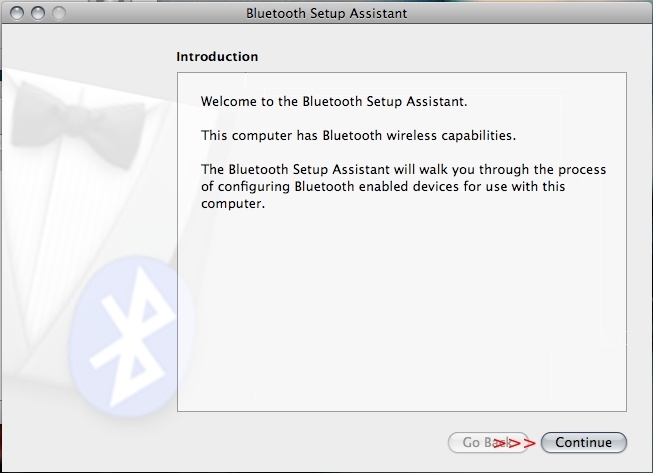 These instructions should work pretty well for most Bluetooth-enabled phones, or for phones that you have a Data Cable and drivers for. I'm using Mac OS X for most of this series with the exception of the final article, which will cover the proprietary Windows-based tool used to manipulate my specific phone for additional functionality that I wanted. Well, the time has come for a new phone. It's not that my trusty Motorola e815 hasn't been great, because it has been. In fact, I was reluctant to give it up. I got it in 2005 or so. Since then, it's been buried in snow, had the case cracked, and other torturous events. The thing keeps ticking. Truth be known, I'll probably hold onto it just in case I fail to bond with my new gadget. So, why is it time for a new phone? Because it's FREE -- with a 2 year contract, of course! If I don't upgrade, I'm basically giving away an offer for a free phone. I've been with Verizon in one form or another (i.e. Cellular One) for about a decade, though. In general, I've got nothing but great things to say about them. Another 2 years won't hurt anything. First things first: My current phone has almost 100 phone numbers, and almost 80 unique contacts. Re-entering all of that information into a new phone doesn't sound like my idea of a fun way to waste an entire weekend. With iSync, I can pull all the data out of the e815. iSync works with quite a few phones, so yours might be on the list. If you're using only Windows, I don't know how to sync your phone to Outlook or whatnot, but I'd imagine it can be done easily enough. Let's get started! If you have trouble making out the screen shots, click to zoom in on them. 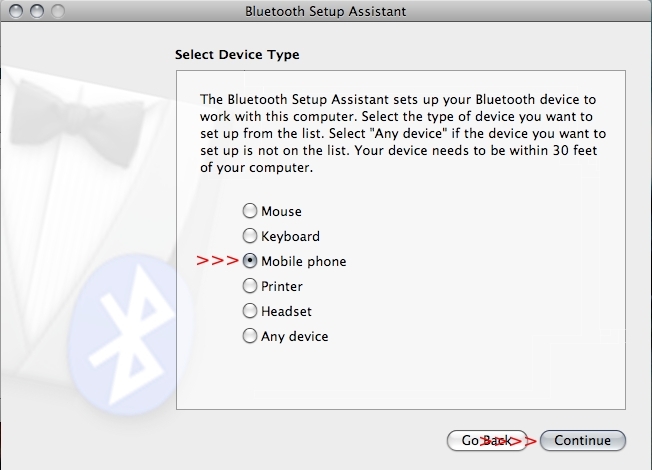 First, get the phone connected via Bluetooth. 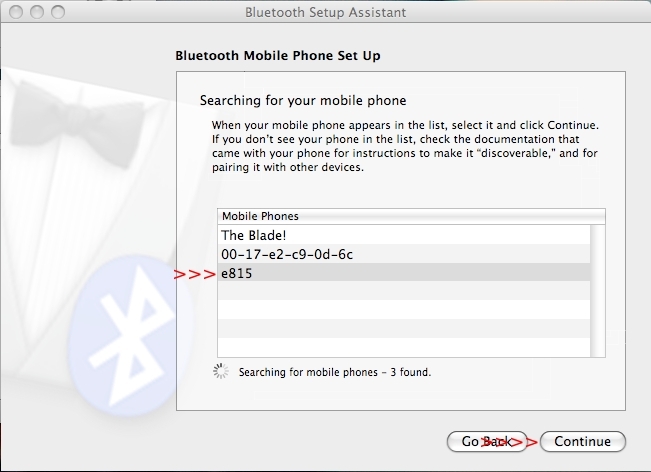 There's probably a "discoverable" mode on your phone that you'll need to activate. See your documentation for how to do it. Once it's in discoverable mode, it's time to go to work. We won't need to enable the Internet connection through the phone, so you can un-check it if you want. 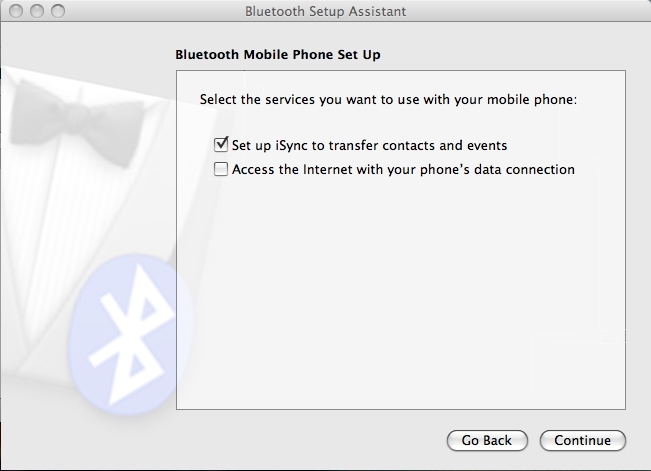 When you activate bluetooth on your new phone, you can choose to enable it if you plan on tethering later on. Note that this is potentially against the terms of service for your carrier unless you cough up the cash for a data plan. 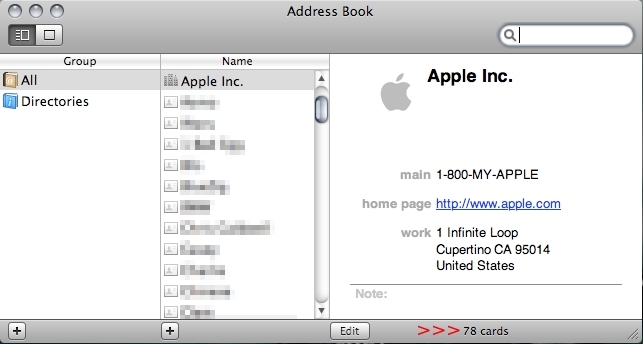 iSync, in true Apple form, will try to protect you from doing something stupid like updating a ton of information in its Address Book without permission from you. 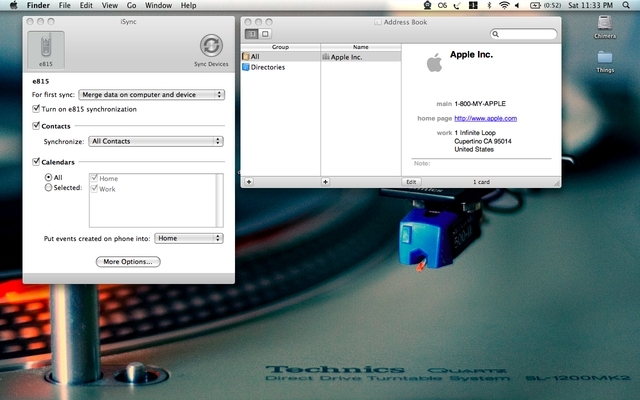 Go ahead and sync the contacts. You'll now see all your contacts in the Address Book. You didn't think I'd actually show you all the names of people I talk to, do you? Now, if you're lucky and your new phone is ALSO supported by iSync, you can shut off your old phone, fire up your new phone, and do the exact same procedure all over again. The Address Book will store all your contacts. Syncing your new phone will move all the contacts and their numbers over seamlessly. Unfortunately, my new phone, the second-generation LG Chocolate (VX8550) isn't supported. 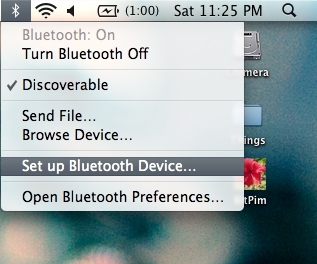 Tune in for Part 2, where I'll discuss using BitPIM to help you out if you're dealing with unsupported phones. Want a web developer job? Oh, the irony!